Cover by Sam Kieth, of awesome Maxx fame! 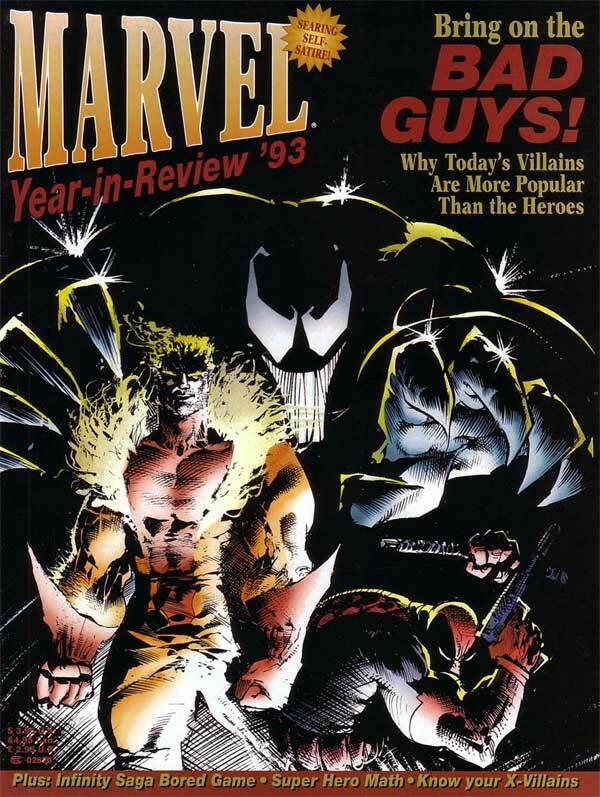 I pretty much only own this for the article regarding the 1993 Annuals, that I’m obsess with. Owning this now, means that I own every appearance by Khaos of Excalibur Annual 1 fame. 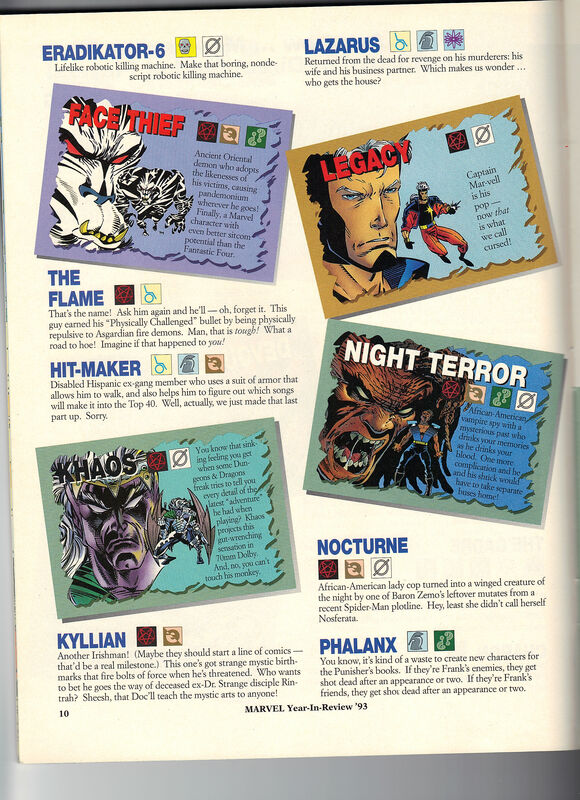 Some great ads for Arcade’s MurderWorld. There are other Marvel centric ads as well. There is a fun element to this entire issue. A Bruce and Clark try to get jobs as Marvel heroes. Couple pages giving heroes a foreign twist. What I didn’t know was that this was a magazine sized issue.